Samsung TVs will be able to play movies streamed directly from PCs running Intel’s latest processors by the end of this year. Intel and Samsung announced a tie-up on Tuesday under which the chip maker’s Wireless Display technology will be integrated directly into Samsung’s TVs. That will eliminate the need for a separate receiver to play PC content on TVs. Samsung is a big customer win for Intel. Around 10 million TVs from manufacturers including LG, Toshiba and TCL already have Wireless Display integrated, and with Samsung, the number will double by the end of the year, said Kirk Skaugen, senior vice president and general manager of Intel’s PC Client Group. Wireless Display capabilities are available in Intel’s latest Core processors. 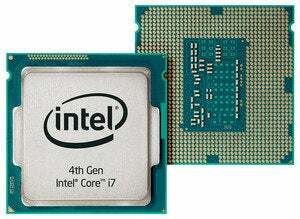 Intel has said it will eventually put the media streaming chip in mobile devices such as smartphones and tablets. Microsoft’s upcoming Windows 8.1 operating system will augment the media streaming technology with new features, Skaugen said. The software company will talk about those features on Wednesday at Computex, Skaugen said at a press conference at the trade show in Taipei on Tuesday. The new feature is part of Intel’s effort to make its latest Core processors code-named Haswell more appealing to buyers. The chip maker launched new dual- and quad-core processors for desktops, laptops and hybrids at the trade show. Samsung already offers technology through which video can be shared wirelessly between tablets, smartphones, TVs and other Samsung devices. The technology is based on DLNA and requires devices to be connected to a Wi-Fi network.